From 1912 until the early 1940's, the B'nai B'rith building on East 55th Street near St. Clair Avenue, was a Jewish landmark. 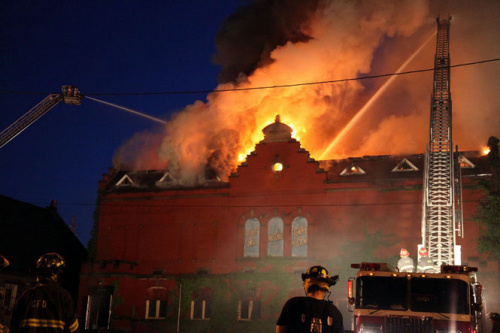 Some comments on the building's loss spoke of graduations and other events there. 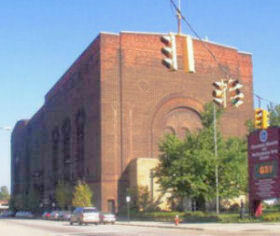 They had remembered a structure still in use located on East 36th Street, between Euclid and Chester Avenues: Masonic Auditorium. 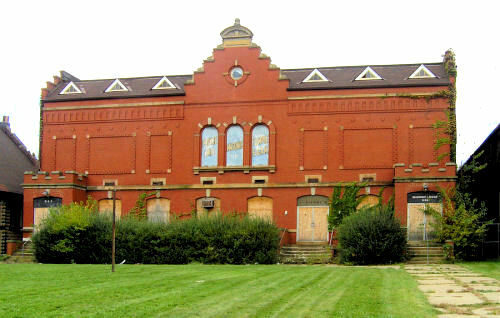 On May 19, 2010 fire destroyed a 103 year old building at 1624 East 55th Street in Cleveland. 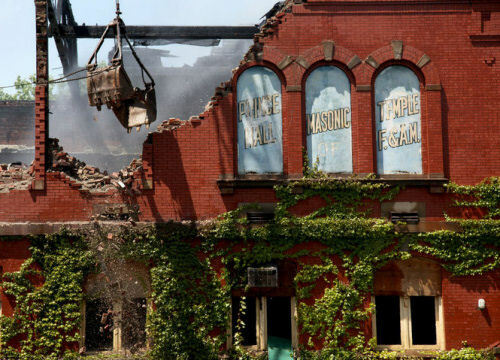 The media reported it as the loss of a Cleveland historic landmark - the Prince Hall Masonic Lodge (read PD story) - and it was. The building had been the home of these black Masons for more than 50 years. Two days later the remains of the building were demolished. Arson was determined to be the cause.